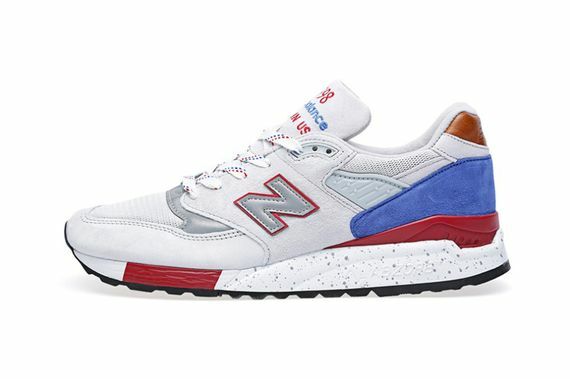 New Balance has been hooking up the 998 lately, and the latest look sees the Made in USA beauty take on the stars and stripes, in the form of a white, cement, red and royal colorway that oozes patriotism. 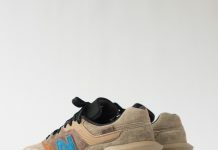 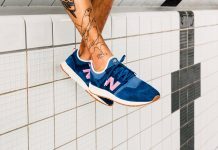 Pigskin, suede and mesh all work in tandem to deliver quite the sneaker, all set atop a color-blocked and speckled sole that will have you NB fiends clamoring to your local retailer. 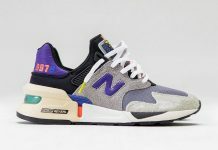 If you’re feeling them, pre-order yours now.